Julie Geigle serves as an International Psychic Medium, Spiritual Counselor, Healer & Manifesting Diva. 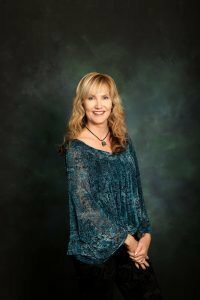 She is also a Divine channel for Archangel Metatron, With a Masters in Education, Julie spent 10 years teaching middle school and is now honored to work with the spiritual realm assisting many on their path of awakening and enlightenment. She has studied mediumship at the renowned Arthur Findlay College in England and has visited Brazil’s spiritual center for healing and enlightenment several times. She holds certification in hypnotherapy, meditation & Reiki and is an Ordained Minister. Ho’ponopono is her favorite healing technique. In 2019, Julie is pursuing training as a Spiritual Teacher for the Golden Age Movement with the Oneness University in India. As long as she can remember Julie has been highly sensitive and intuitive. She comes from a long line of psychics all the way back to her great-grandmother who began visiting her from beyond the grave during meditation. She is considered a 4th generation Psychic Medium. Once Julie’s own father passed in 1996, she began to truly embrace her gifts as a psychic medium. She has a very calm, soothing voice and soft, angelic presence. She tunes into messages from the angels and Archangel Metatron easily and effortlessly to guide and direct you in your life. She specializes in Psychic Business Consulting, Romance & Relationships. I empower women & men on a spiritual journey how to find inner peace and live the best version of themselves. Julie is honored to be a member of Shay Parker’s Best American Psychics and Bob Olson’s esteemed Best Psychic Directory. Julie has many reviews and testimonies for her accurate, honest psychic readings. Join Julie on FB at Julie Geigle, Heaven Sent Healing for weekly psychic insights. Be sure to sign up for our “notifications” so you will be notified when we go live. “Manifesting Mastermind” is an online course Julie teaches to help spiritual seekers remove blocks, raise their vibrational frequency and align with their Divine abundance. Julie is excited to offer her TRIBE an amazing opportunity to connect with her each month in a private 30 min session designed to give you your own personalized energy forecast so you know where to focus your attention for the month to truly create a life filled with passion and purpose. Do you struggle with physical vitality and wellness? Join Julie’s INNER CIRCLE and gather weekly for a remote Crystal Bed Healing. The power of this healing is quite intense as Julie connects directly with many masters and healers from beyond with the glorious crystal bed from Brazil. Crystal bed healing offers light therapy, color therapy and crystal therapy combined cleansing your chakras weekly enables you to heal on many levels and attune to your own Spiritual Team. We are located in Eau Claire, Wisconsin and offer phone, Zoom or Messenger Video and in-person sessions specializing in business, romance & relationships, couples counseling + spiritual awakening. * As a practicing Catholic and former school teacher Julie is highly ethical and trustworthy. * Julie reads the energy that is with you and helps you tap into what you know to be true. Often times the busy-ness of our lives clouds our vision and thinking. Julie has crystal clear clarity to help you see the answers that are before you. * As a spiritual healer Julie not only has access to your soul’s blueprint but she can assist with clearing and removing blocks to your highest good. * Archangel Metatron works closely with Julie in all areas of her life especially her work as a psychic medium and healer so when you get a reading from Julie it is interlaced with messages and wisdom from Archangel Metatron as well as your spiritual counsel which includes your guardian angels, spirit guides, loved ones & pets who have passed and your totem animal. * Julie also has strong ties with the Native American realm and works closely with a Medicine Man in the Wisconsin area. She holds special certification in past life regression with Georgina Cannon and hypnotherapy. She has also studied quantum jumping, spiritual counseling, spiritual teaching, the healing code, emotional freedom technique, and ho’oponopono.